Roof slope is determined by vertical rise over horizontal run, expressed in inches, the second number always being 12. 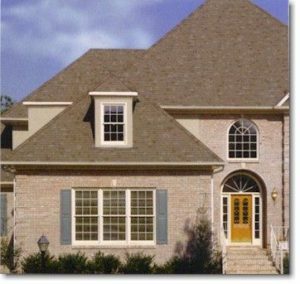 For example, if a roof rises at a rate of 6 inches per foot (horizontal), it is a 6/12-slope roof. Roofs with slopes of 8/12 or less can be walked on in most situations. Some people do not have any difficulty climbing almost any roof, while others have considerable difficulty. You should never walk or climb a roof that you do not feel safe climbing. Fig2. 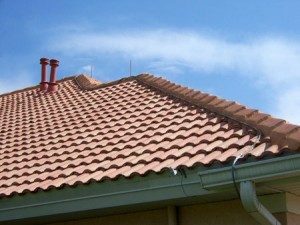 – Composition (asphalt) tile roof. 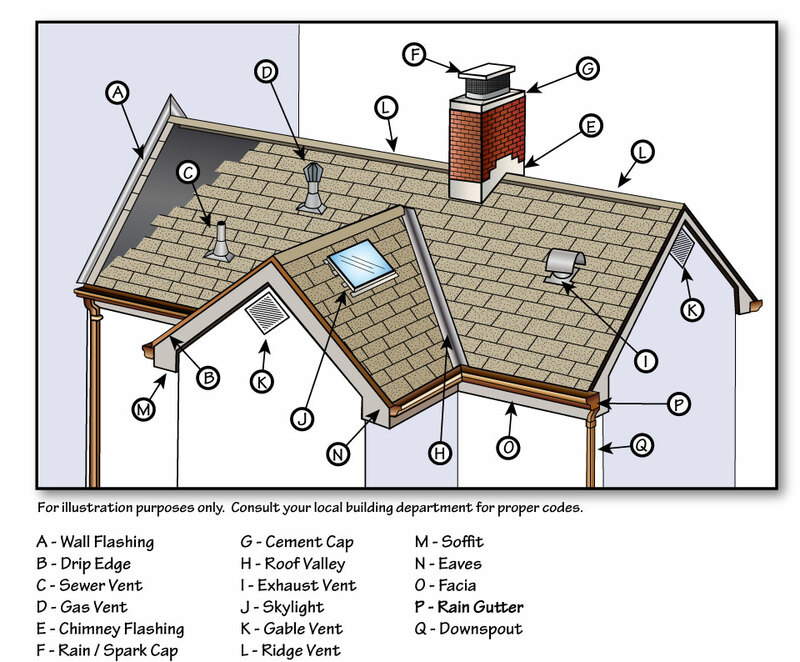 Flashings nailed into a wall or chimney and covered with tar or asphalt roof cement are not adequate. 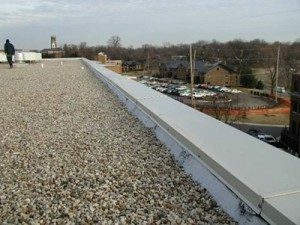 Flashings should be mechanical and permanent. 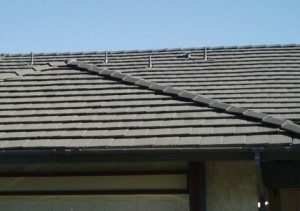 The use of asphalt roof cement or tar for flashing is considered a “temporary repair.” If caulk or roof cement is used as flashing for a new roof, it should be considered unacceptable or not dependable. 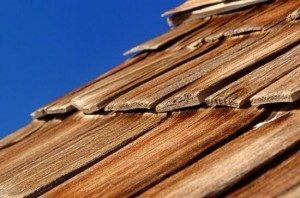 Roof valleys can be either metal or woven shingles. 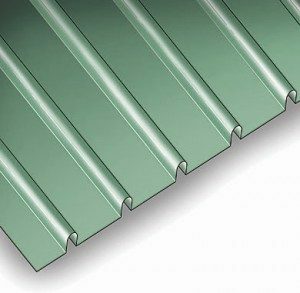 The woven shingle valleys have a tendency to wear more rapidly than metal (aluminum).